Celebrate in the most delicious way. Enjoy one dozen assorted cupcakes. 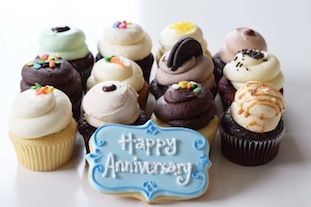 We've added a Happy Anniversary Cookie to make it extra sweet.